One of the more iconic games (and images) of Brewers' season race in 2018 was the day when a massive "L" flag was wiped out by fans at Miller Park after the brewers struck the Cubs. At 25 feet by 15 feet, it was not a small thing to get the case inside Miller Park given the stadium's security rules. Although there was generally a positive response from fans (and even players), it was made quite clear by the stadium staff that it would not be allowed in the park again. 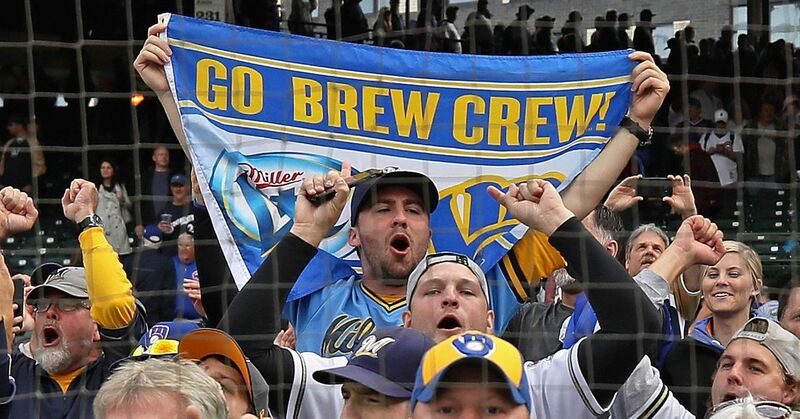 Brewers apparently have a limit on the size of flags and banners that can be brought into the stadium – 3 feet by 5 feet – and things became testy at the end of the 2018 season when Cubs fans said their "W" flags were confiscated at the gates. "We took it in a backpack the first time, and they didn't care about it," Ryan said. "We brought it another time, we did the same. They said people complained so the security guard didn't give it to us." A brewers spokesman at the time said the decision was to prevent a back and forth between Cubs and Brewers fans, the stadium became increasingly bigger and potentially more dangerous props. Ryan had another plan this time: Saran wrap. "This time, I just put the flag around me and I Saran wrapped it up to make it as tight as possible," Ryan said. "I just put on a bigger sweatshirt." By the 9th inning, the flag was unpacked and unveiled again, this time in Section 438. It seems that security officials might have gotten enough and perhaps out of these fears of escalation threaten him now and arrest for violation if the flag makes it back to the park. A hand, the confrontational tone that many Brewers / Cubs games have on Miller Park does It is understandable that the team does not want anything that flames the flames – especially a 375 square foot flag. On the other hand, an arrest seems like an excessive reaction when they could just take the flag away or get him to leave the stadium if he tries to stunt again. The tab says he plans to go to the games tonight and tomorrow, so we will see if he is trying to call the stadium staff's bluff or if they are not joking when it comes to not having a slipper slope on flat scraper.